If you are one of the thousands of people who started a backyard flock this year, you're in for a treat! Hopefully, you've done plenty of research using reliable websites like Chicken Whisperer Magazine that provide science-based information. Even so, you still may not have learned about all the great benefits of raising a flock of chickens in your backyard. 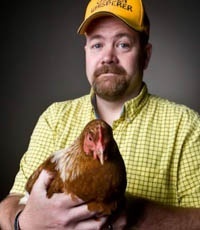 Every year while traveling the country spreading the chicken love, I talk with hundreds backyard chicken enthusiasts. Through those conversations, I've determined that among the many, many benefits of raising chickens, these are the six most popular. When I ask adults with children why they have decided to start a backyard flock of chickens, the number one answer is education. Many tell me they want their children to develop a better idea of what it takes to get the food they eat from the farm to the table. Some say that their children can’t name the parts of a chicken (leg, wing, breast, thigh) because most of the chicken they've eaten comes in nugget form or that they have never seen a chicken egg besides white ones that come in a carton from a grocery store. Keeping chickens allows parents to show their children a small part of where their food comes from and the work involved in bringing it to them. Chicken are great food recyclers. If you let them, they will often eat all of the breakfast, lunch, and dinner that you don't finish. This can be tricky, because food scraps, treats, and snacks shouldn't be more than 10% of their daily food intake. However, the more of your kitchen waste you chickens consume, the less waste goes into the landfill. What do the chickens do with all that food waste they consume? They make nutrient-dense fertilizer for your garden. People all across America purchase chicken manure for their gardens, either from chicken farms or from farm and garden stores. In most cases, you can’t just add fresh chicken manure to a garden because it’s too “hot”—meaning that it contains too much nitrogen, which will "burn" your plants. However, adding the fresh chicken manure to your backyard compost bin or pile is a great way to boost its nutrient content. Personally, I have added fresh chicken manure to our garden several times by merely spread a light coating down the walking paths between the rows. With time and rainfall, the nutrients drain into the plant rows. I have had great success with this method, but it's important to avoid adding too much. Chickens love to scratch around in the backyard. What are they looking for? Food! And what food do they find other than weeds, grass, leaves, and plants? Yep, you guessed it—bugs! They will eat all kinds of bugs including ticks, grubs, roaches, spiders, grass hoppers, crickets, ants, mosquitos, and many others. While insects can be a disease vector for chickens—meaning they can contribute to some illness and disease for your flock—it’s virtually impossible to prevent this natural instinct. Some claim their backyard flock does such a good job at keeping the insect population down, that they've canceled their exterminator contracts. Believe it or not, your backyard chickens can be very entertaining. If you spend time in chicken forums, you will often see people use the term "Chicken TV" to describe the habit of sitting on the back porch or deck for hours being entertained by simply watching their flock. Many claim that watching their chickens is therapeutic. Some people also find themselves treating their chickens like regular pets. After starting a backyard flock, many people become very attached to their flock, name the birds, and spoil them rotten. The chickens become very tame and will come running to see what treat or snack their owners are bringing them. They may even fly up to their shoulder to get closer to the treat bag or to get the first tasty morsel. You even might find one of your chickens will walk up to you and fly into your lap, wanting you to pet it. 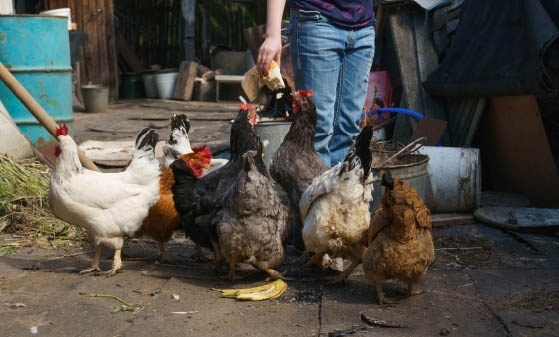 Your backyard chickens may become just as much a part of your family as your cat or dog. A very popular reason for keeping a backyard flock is the desire to know where our food comes from and control its quality. If you know what’s going into your chickens, you have a better understanding of the quality of the food they produce. You can choose to raise your birds naturally, organically, and more humanely—without antibiotics and other additives that may be added to products available in stores. Keeping your chickens naturally doesn't automatically ensure a clean food supply. Learn how to protect the quality of eggs from backyard chickens with this article on protecting your health and avoiding contamination from drug residues. Until next time, power to the poultry!